Technology has taken over the world and previously no one thought that there will come a time when people will be able to buy and sale things online but guess what? Technology made all the impossible look possible and today eCommerce sector is on top of all the other sectors. Especially 2017 was an amazing year for eCommerce as a lot of new impressive additions were made to this sector and comparing to the year 2017, people obviously had higher expectations with the year 2018 and guess what? 2018 is no less impressive and there are some amazing trends that came along this year. Now, if you are someone who wants to take his eCommerce game to the next level then here are a few major trends that you need to pay attention to in 2018. As an eCommerce site owner, you would love to monitor and analyze each and every move of your visitor and luckily this is possible now. Now, it is that time when all the actions of your users can be converted into some type of data and that exact data will then help you to know more about your target base. You will now get more accuracy when it comes to the analytics of your site and you will now have a clearer idea of your target audience, what they want and what they search for. This trend will help all the marketers out there and they will know when and where to deploy segment marketing and native marketing etc. It is that time when almost everyone owns a mobile phone and if you are related to the eCommerce industry or if you have a site like the Geekdom Lifestyle then this can be a good news for you that people buy more stuff online via their mobiles. In fact, more than 50% of the eCommerce sales are made through cell phones and this percentage is going to increase over time because now everyone has access to a good mobile and a good internet. 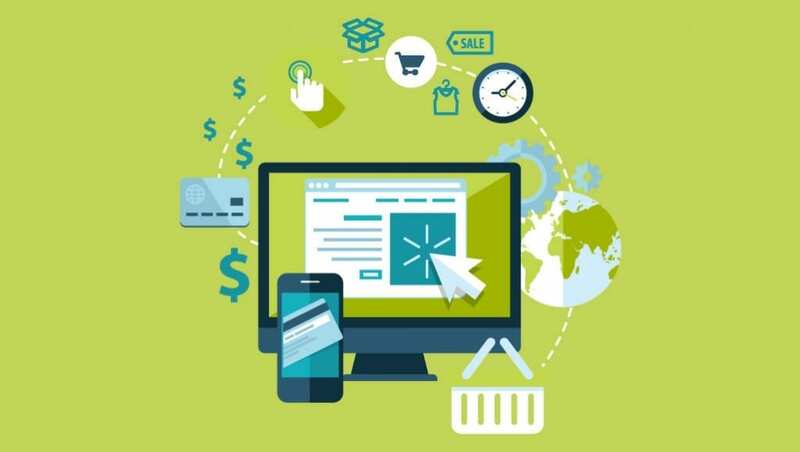 In a nutshell know that your eCommerce sites are going to have bigger revenues this year. The trend of using emails to buy and sale things has now increased to a whole another level and luckily this trend has helped the eCommerce sector in generating more revenues than ever. The reason behind it is simple, now the first thing that people do in the morning is that they check their mails to see if there are any messages and you as an eCommerce site runner can use this as an opportunity and send them offers or tell them about your brand. This is a great technique to attract more customers towards your website and make more sales. The feature of voice assistance is being used by an unbelievable figure of the world’s population and interestingly this figure is growing on a rapid pace. Research says that voice search is the prefered method of search for this year and the use of voice assistance can help the eCommerce business grow at a whole another level. It is now much easy for people to use the voice activated devices in order to search for the product that they want and this is something that can increase your sales and you will be able to generate more revenue out of your business. These are the top 4 eCommerce trends of 2018 that can actually take your sales game to a whole another level. So, just keep notes of these trends and use them in your marketing in order to get better results.